I found out earlier this week that September is Self-Improvement month so I’ve been thinking about what self-improvement goals I have for myself. While thinking about my goals I tried to be realistic and set goals that are easy to achieve. I think that having simple goals for myself that don’t take up much extra time or commitment on my part are best for me right now. I’d love to make it to the gym but I know that with my schedule it’s just not going to be easy to do and I want to make my goals achievable. What about you? Do you have any health and fitness goals? A common goal among women is to lose weight and look better in clothes. 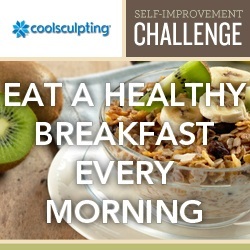 There are many ways to achieve this goal including healthy eating and exercise. One other thing that can help is a new procedure I recently learned about called CoolSculpting® which is a safe, effective and non-invasive way to reduce fat in common trouble areas that tend to be diet- and exercise-resistant. 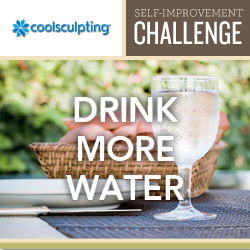 CoolSculpting is the only procedure that uses cooling technology – not laser-assisted or ultrasound methods. It’s simple and results are gradual over the course of 3 to 8 weeks. CoolSculpting can be done in a couple of hours, you can return to normal activity immediately afterward, and it does not require any special diet or exercise programs. 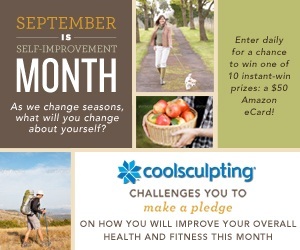 In honor of Self-Improvement Month, CoolSculpting is hosting a Self-Improvement Instant-Win Challenge asking participants to make one small pledge on how they will improve their health and fitness routine this month for a chance to win one of 10 instant win $50 Amazon e-cards or the grand prize of a $500 American Express Gift Card. Enter the sweepstakes on Facebook here but hurry, it ends October 8th!